With every single bag of grass seed we dispatch, an accompanying green certificate of paper is attached to the bag. This green slip is a very important document from the Department of Environment, Food and Rural Affairs (DEFRA). It is a certificate to let users know the content of the bag has been tested and conforms to all European standards of germination and quality. This ministry label will give the exact percentage of each variety within the grass seed mixture. Each variety offers a most exotic name such as Lolium Perenne or Festuca Rubra Rubra, but what do these names mean? They are in actual fact the botanical name for the grass variety wrote in Latin. So we bet your wondering why we write in Latin on our seed bags, well it’s not really our decision – it’s the law. All the same we think it adds to the wonder of ‘a bag full of living things’. Let’s take a closer look at our most commonly used grass varieties. Perennial ryegrass is a hardwearing grass type which will establish and grow quickly. The seed is undeterred by harsh weather conditions both during germination and once the grass has been fully established, definitely of benefit in our changeable climate! Present in SUPERSTAR: Back lawn and STEADFAST: Shade. Strong creeping red fescue is a highly tolerant grass seed species that can thrive under any number of conditions. Most notably it establishes quickly and is tolerant to disease, it will do well in dry and poor soil - ideal for any garden. Present in SUPERSTAR: Back Lawn, RESTORE: Self Repairing Lawn and STEADFAST: Shade mixture. 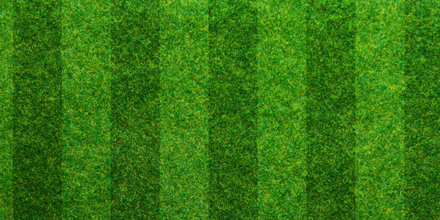 Chewings Fescue is a slow growing grass seed which has fine leaves and a high density. This enables the variety to produce a dense but fine sward, ideal for giving your lawn a much fuller look. It is also known to germinate at lower temperatures in comparison to other varieties within the fescue family. Slender Creeping Red Fescue is very similar to Chewings Fescue as it produces very fine leafed grass sword. A unique feature of slender fescues is that it grows in stolons, which ultimately means it creeps and spreads through the garden. This allows the lawn to heal and mend itself when damaged which is ideal for even the less attentive gardener. It is also very tolerant of close and frequent mowing. Varieties the seed is present in: STATEMENT: Front Lawn, RESTORE: Self Repairing Lawn. Smooth stalked meadow grass is a shade tolerant and extremely hardwearing grass seed which is resist to cold stress. At first it is slow to develop only forming small tufts initially. In the following years it will expand to have maximum ground cover but users should know this seed variety requires some patience. When established the leaves will have a subtle blue tint which has led to it also being called Kentucky Blue Grass, don’t worry it’s very subtle. Hard fescue is a fined leave grass seed which is known as the most durable of the fescue family. It is perfect for inclusion in seed mixtures which the grass will be subject to low sunlight, low nutrients and possible droughts. Present in STEADFAST: Shade and SUPER STEADFAST: Ultra Shade. Have a look at our grass seed shop for our 2018 garden grass seed mixtures.